Eldest Son of Gerald and Evelyn Newman, of Chippenham, Wiltshire. Flying Spitfire Mk Vc EP190 based at Takali, Malta. Newman reported that he was circling the area where another Spitfire had crashed into the sea. Probably shot down by Lt Franz Schiess of Stab/JG 53 who claimed a Spitfire on that date. Educated at New College School Oxford and Magdalene College School. He had been in the choir at both schools and was learning the music business in Oxford before volunteering for service with the RAFVR. 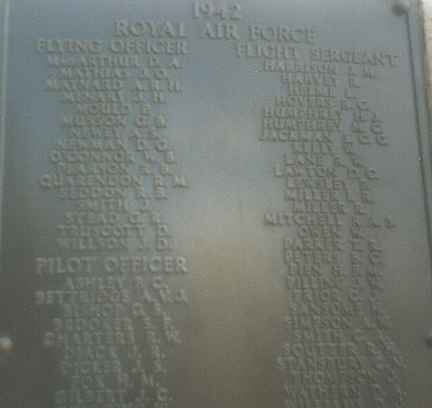 After a period at cadet school, Newman was gazetted as Pilot Officer and then promoted to Flying Officer in July 1941.